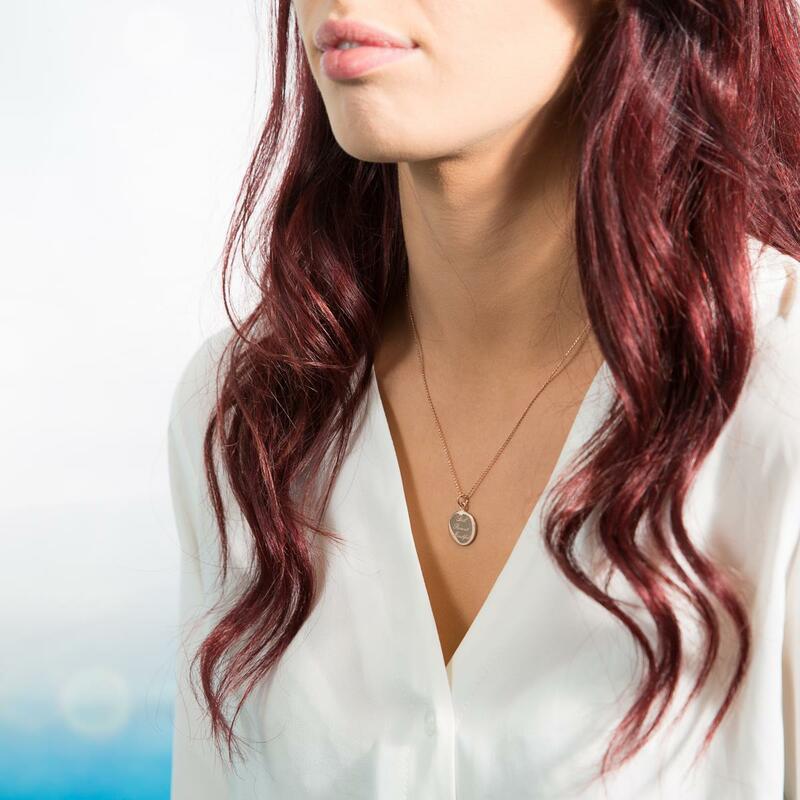 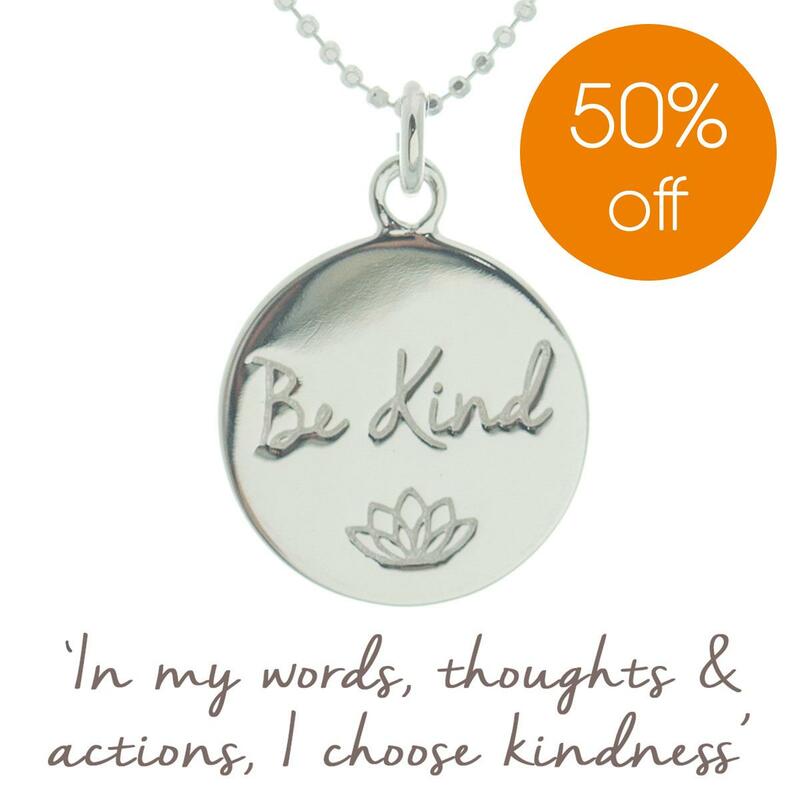 Our ‘Be Kind’ necklace raises money for, and awareness of, Bullying UK, part of Family Lives, the national family support charity. 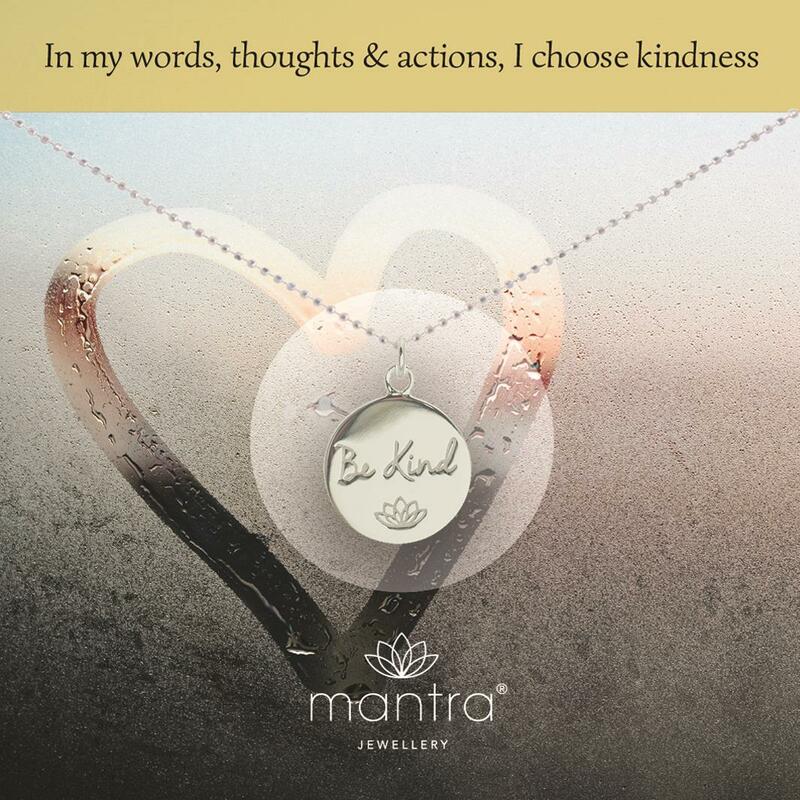 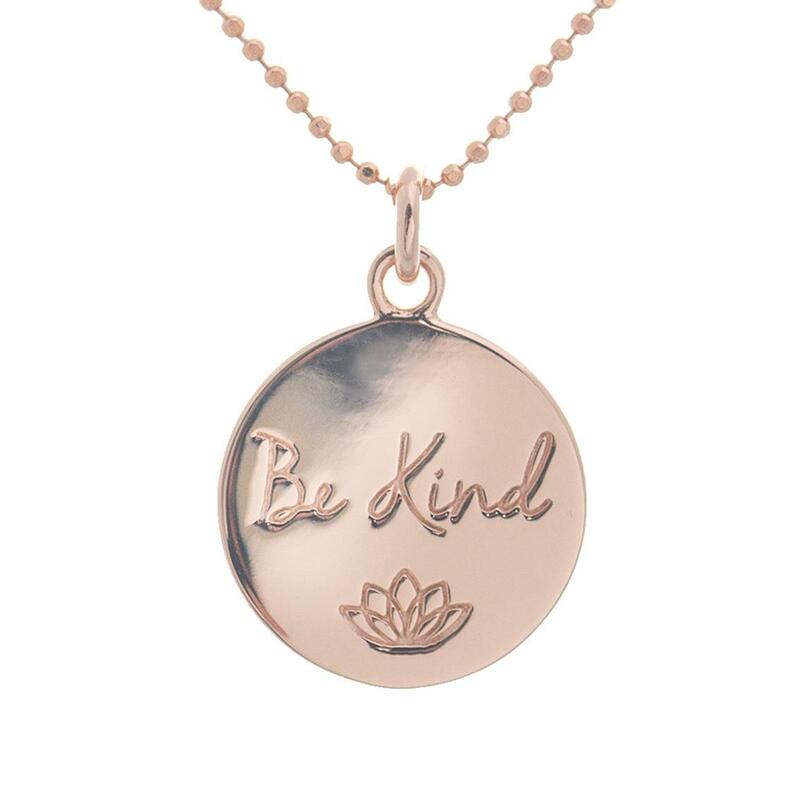 The necklace carries the powerful words, 'Be Kind', alongside the lotus symbol, which represents rising through difficulty. The mantra on the accompanying card is, 'In my words, thoughts and actions, I choose kindness'. Perfect gift for a birthday for your daughter or a friend | a self-purchase to keep you inspired | a well-being gift | an ethical and charitable gift. 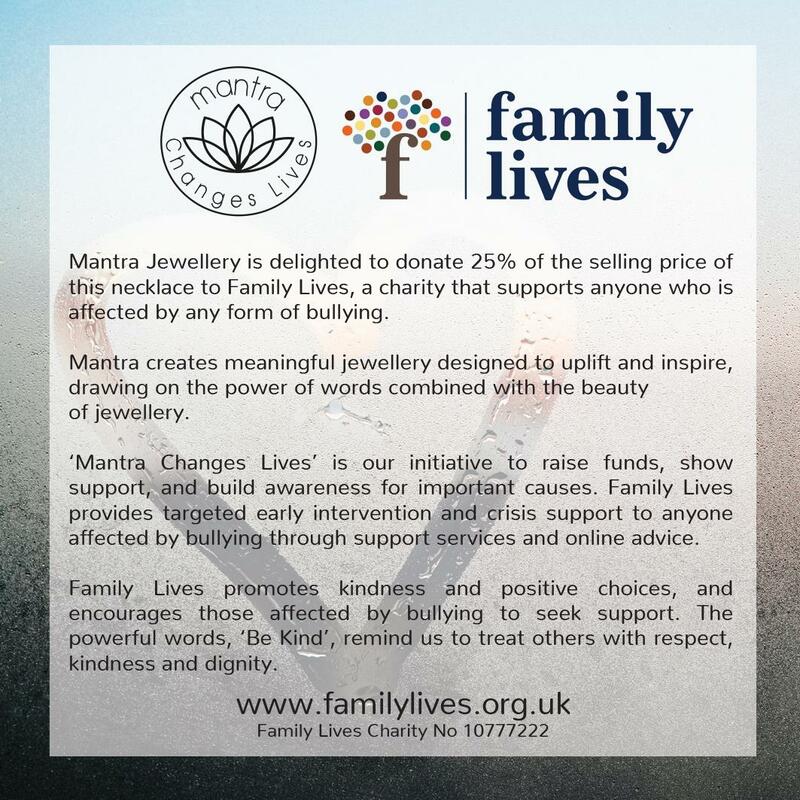 Bullying UK provides support to anyone affected by bullying, via a helpline and online advice. 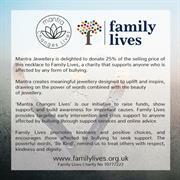 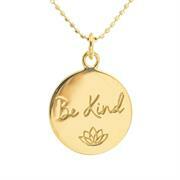 Bullying UK promotes kindness and positive choices, and encourages those affected by bullying to seek support. 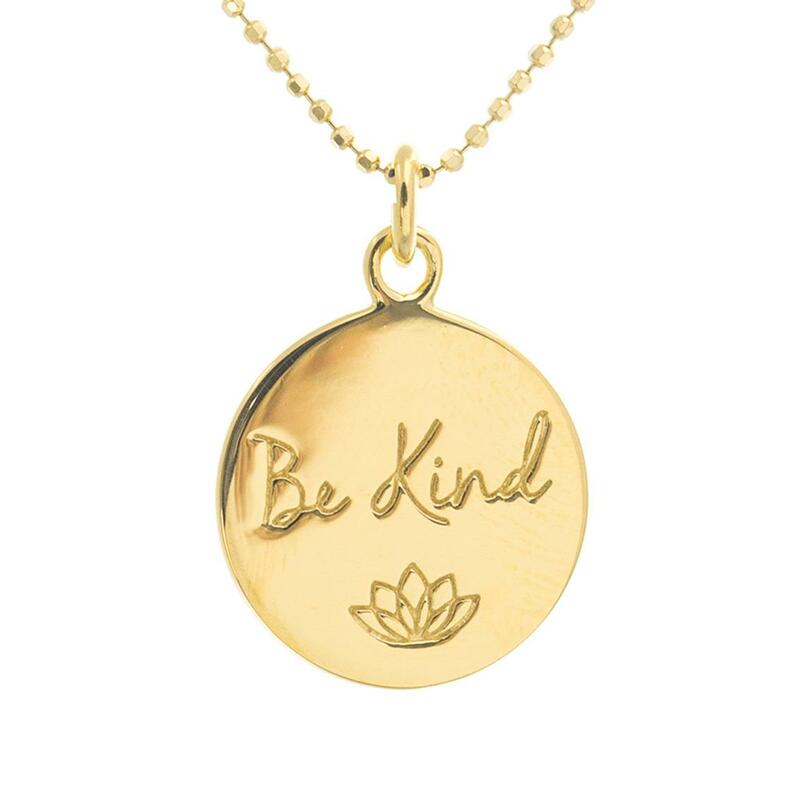 The perfect pendant to celebrate a friend or loved one who has been kind to you; or to remind yourself to always make positive choices in life. 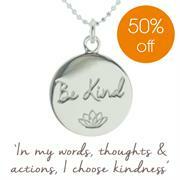 25% of each sale of the 'Be Kind' necklace goes to Bullying UK to help fund their valuable work.